Controlled breathing can be a beneficial daily practice to reduce stress and boost your immune system. 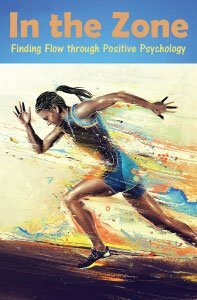 You can even gain more energy and brain power with practice. Mindfulness: The Healing Power of Compassionate Presence is a 6-hour online continuing education (CE) course that will give you the mindfulness skills necessary to work directly, effectively and courageously, with your own and your client’s life struggles. Compassion towards others starts with compassion towards self. Practicing mindfulness cultivates our ability to pay intentional attention to our experience from moment to moment. Mindfulness teaches us to become patiently and spaciously aware of what is going on in our mind and body without judgment, reaction, and distraction, thus inviting into the clinical process, the inner strengths and resources that help achieve healing results not otherwise possible. 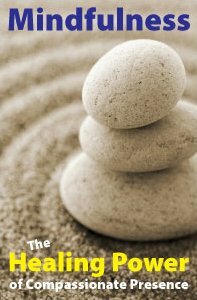 Bringing the power of mindful presence to your clinical practice produces considerable clinical impact in the treatment of anxiety, depression, PTSD, chronic pain, high blood pressure, fibromyalgia, colitis/IBS, and migraines/tension headaches. The emphasis of this course is largely experiential and will offer you the benefit of having a direct experience of the mindfulness experience in a safe and supportive fashion. This CE test is based on the book “The Mindfulness Workbook for Addiction: A Guide to Coping with the Grief, Stress and Anger that Trigger Addictive Behaviors” (2012, 232 pages). 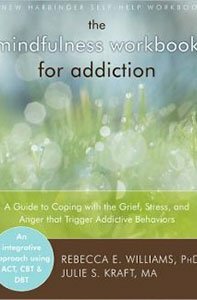 This workbook presents a comprehensive approach to working with clients in recovery from addictive behaviors and is unique in that it addresses the underlying loss that clients have experienced that may be fueling addictive behaviors. Counseling skills from the field of mindfulness therapy, cognitive-behavioral therapy, acceptance and commitment therapy, and dialectical behavioral therapy are outlined in a clear and easy-to-implement style. Healthy strategies for coping with grief, depression, anxiety, and anger are provided along with ways to improve interpersonal relationships. This entry was posted in Counseling CE, Marriage & Family Therapy CE, Mental Health, Nutrition & Dietetics CE, Occupational Therapy CEUs, Psychology CE, School Psychology CE, Social Work CE, Speech-Language Pathology CEUs, Teaching CE and tagged benefits of controlled breathing by Gina Gunderson. Bookmark the permalink.